Top 10 Best Gift Ideas for Father's Day - Who's your Daddy? Father’s Day is nearly upon us and for many of us shopping can quickly turn into mission impossible! Those who are lucky enough to have a dad with a hobby may have it easy. For the rest of us, finding good Father's Day ideas is difficult and usually ends up being the same predictable gifts year on year. Maybe a bottle of his favourite tipple, a new pair of slippers or a new tool to add to his growing collection! Well this year we have made it easy for you. 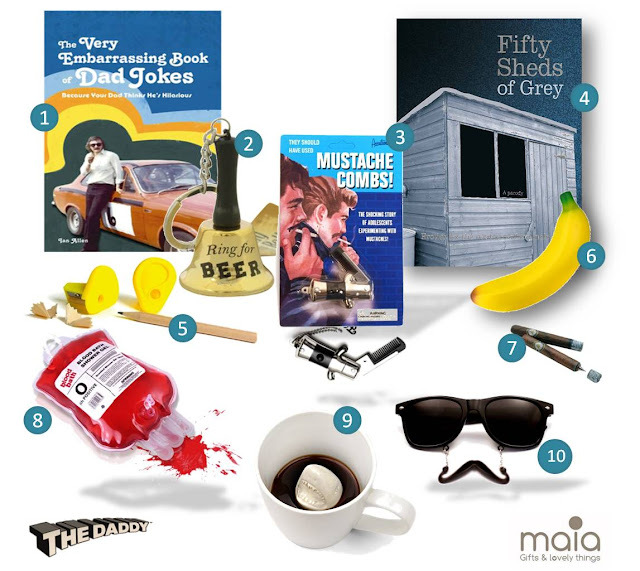 Check out our comprehensive range of themed gifts for Dad. 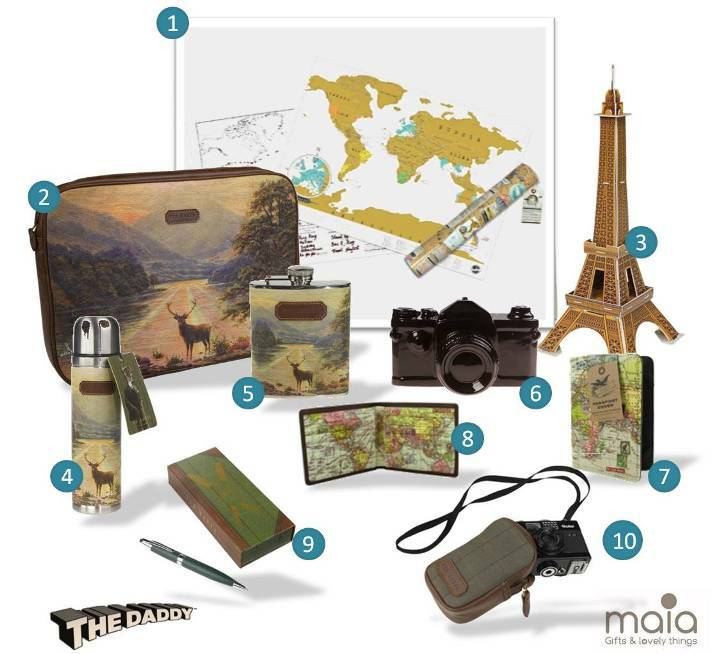 No more stressing as everything below is available either in-store or online at Maia Gifts. We'll even gift wrap it for you, how's that for hassle free? There are some dads that just never seem to lose that sense of adventure for the world around them. So this great range of gift ideas is tailor-made for those men that still enjoy getting out there and discovering new places! Is your Dad still listening to his favourite records a bit too loud? Still playing guitar and talking about how good Woodstock was? We've put together some Father's Day ideas for the music mad Dad. 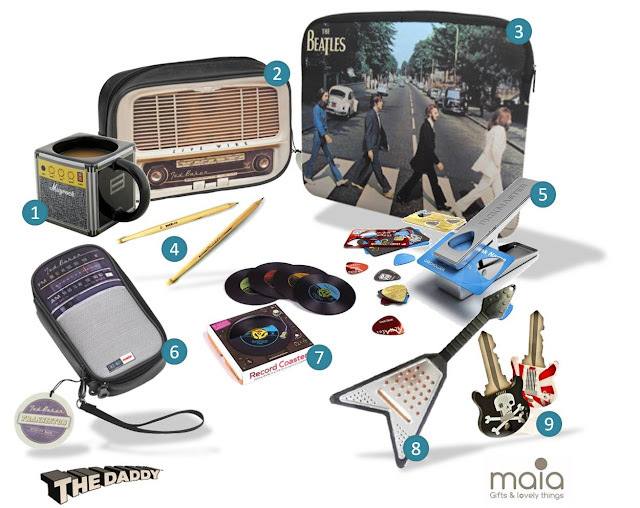 Whether he plays it, listens to it or just talks about it all the time these are the perfect gifts for your Rock Star Dad! Is your Dad a bit of a whizz in the kitchen? Is he more likely to be cooking up a storm on a Saturday afternoon than sitting in front of the telly watching footie? 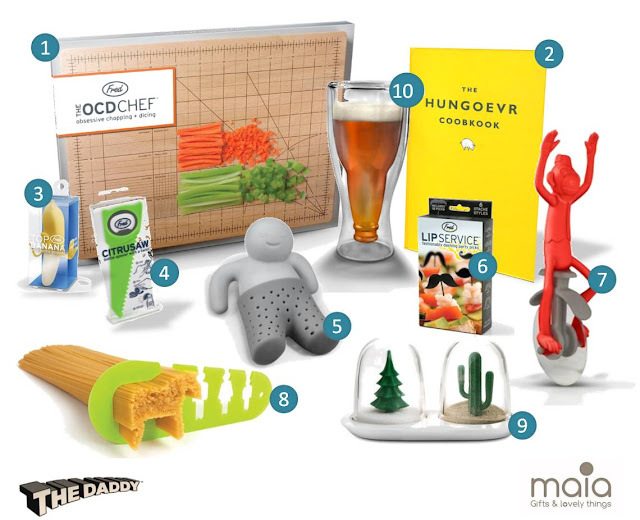 Look no further than our range of culinary Fathers Day gift ideas for your Michelin Star Dad! Have you had to endure a childhood full of embarrassing Dad jokes and pranks? If so it is fair to say you have a comedy Dad and we've got the ideal hilarious gift to suit him. Why not indulge his sense of humour just this once? Has your Dad gone full circle in the style stakes and actually became pretty fashionable with his retro look? That battered looking leather jacket that used to make you cringe is now bang on trend isn't it? 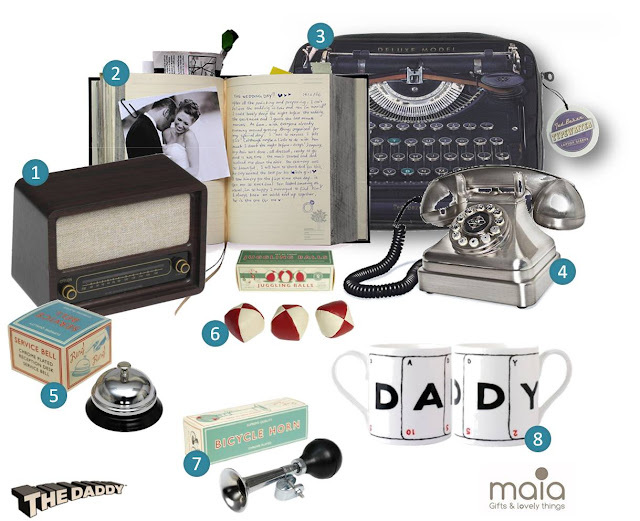 Show your 'old-school' Dad how much you appreciate him with a Father's Day gift from our vintage inspired range! Found something you love? 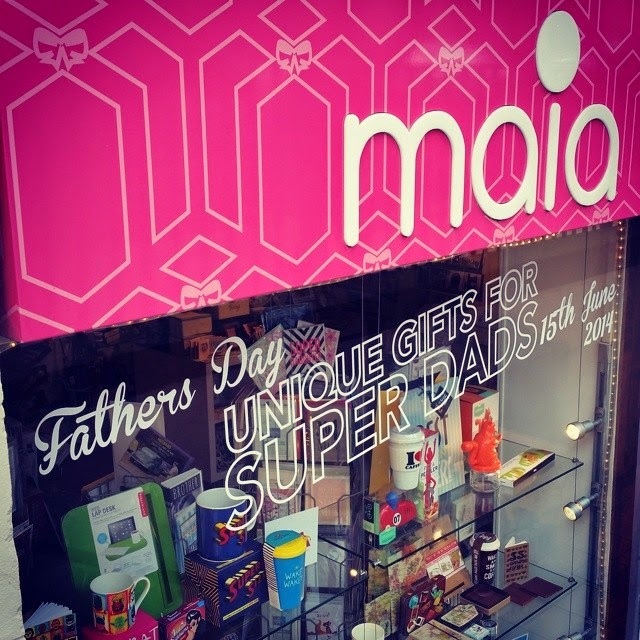 Head over to Maia Gifts or visit our store in Glasgow. We have a great range of Father's Day cards to compliment the gift too. You could call us this years one-stop-fathers-day-shop!